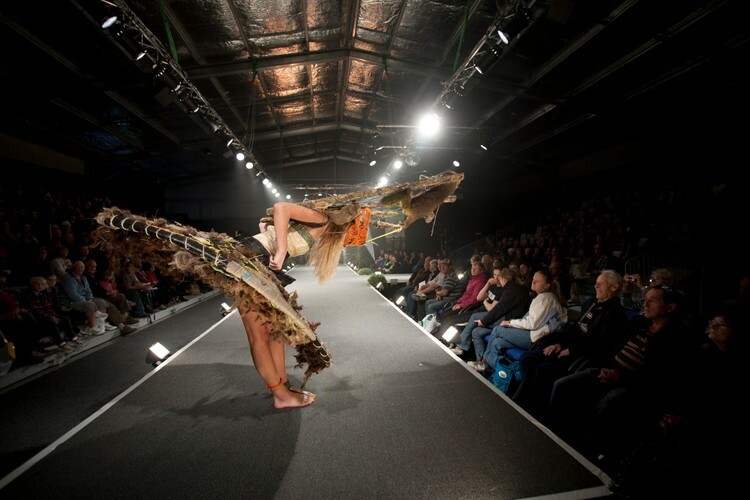 Brought to you by Mystery Creek Events Centre, New Zealand National Agricultural Fieldays comes to town with a night of country couture, featuring a stunning collection of rural to runway garments from the coveted Ag Art Wear Show. 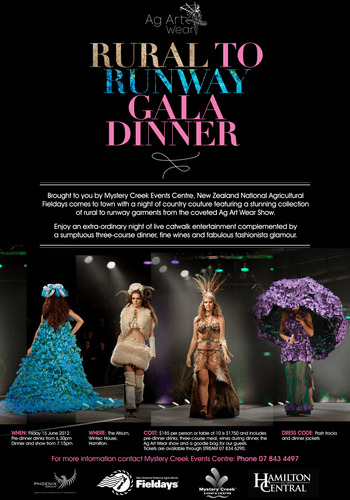 Enjoy an extra-ordinary night of live catwalk entertainment complemented by a sumptuous three-course dinner, fine wines and fabulous fashionista glamour. Dinner and show from 7:15pm. 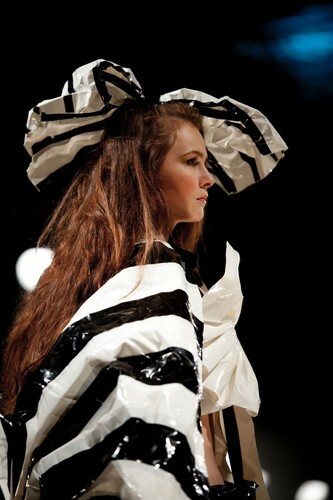 Cost includes pre-dinner drinks, sumptuous three-course meal, wines during dinner, the Ag Art Wear extravaganza show and a goody bag for every guests.